Get Puritan's Product Dictionary Today! It's never too late to learn your ABC's! We've created this guide to help you get back to basics on all things Puritan - from alginate (a tip material) to "Z" patterns and everything in between. 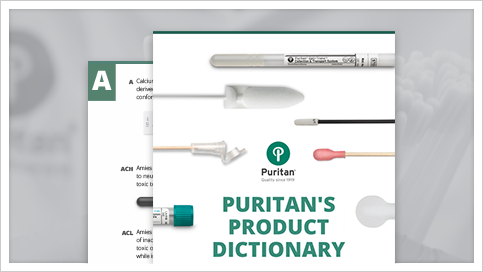 Whether you read through it to brush up on some our different products or want to be sure you select the right swab for the job, Puritan's dictionary is exactly the resource you need.